Square One Books has two great upcoming community events! Thursday, March 18th from 6:00-7:45 p.m.at Madison Middle School – Book Sale for Middle School Students! Square One Books will pay your Sales tax for you, so you get a 9.5% discount! They will be able to take cash and debit/credit cards or checks from Square One customers currently in their system. 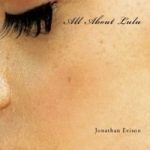 Thursday, March 25th from 6:30-7:45 p.m. – Author Reading and Signing at West Seattle Library, 2306 42nd Ave SW, “All About Lulu” by Bainbridge Island author Jonathan Evison. Library events and programs are free and everyone is welcome. The event is co-sponsored by Square One Books. Copies of the book will be for sale at the reading.